Where’s the nearest salt bin? 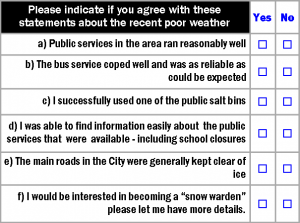 The York Council publishes an interactive map which indicates which roads are de-iced first and where local “self help” salt bins are located. Click on the image below to access it. Although the weather forecast suggests that temperatures will rise later this week, it is a good idea to check that your nearest salt bin is full. Last year, of coures, the worst winter weather came in March, so it will be some time before we can be confident that the salt will no longer be required. 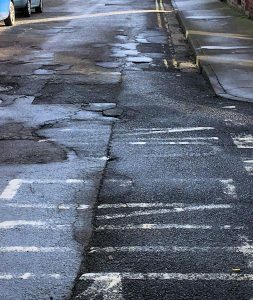 The York Council has announced which roads and footpaths will be resurfaced during 2018/19. 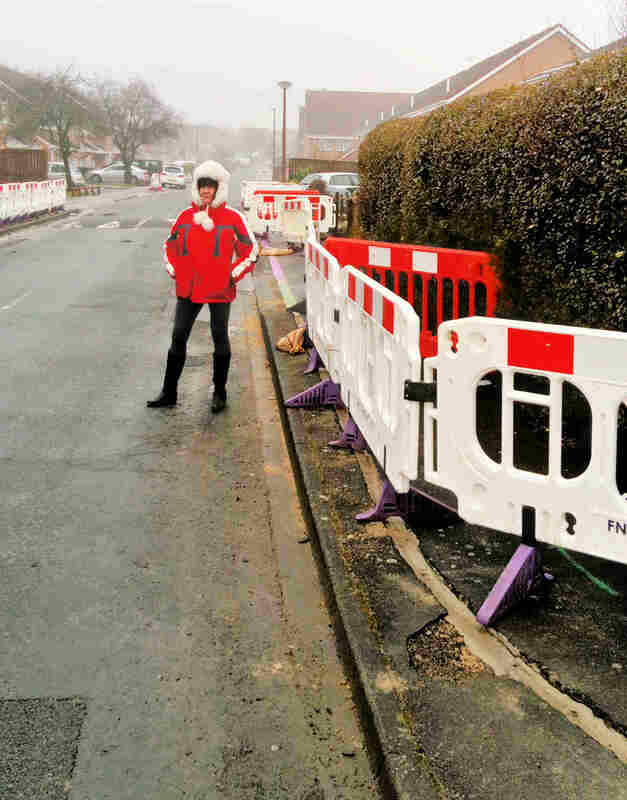 There is good news for Askham Lane, Middlethorpe Grove, Skelton, Marygate and the national cycle route 66 (which will get a £1/4 million resurface). 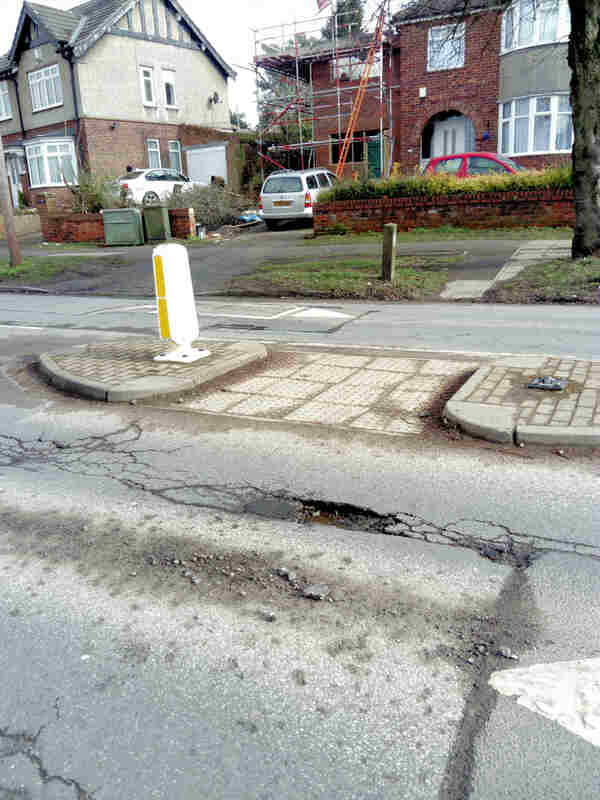 School Street – City’s worst carriageway? The Council says that the priorities were determined following surveys. · Visual safety survey of all our roads and footways. 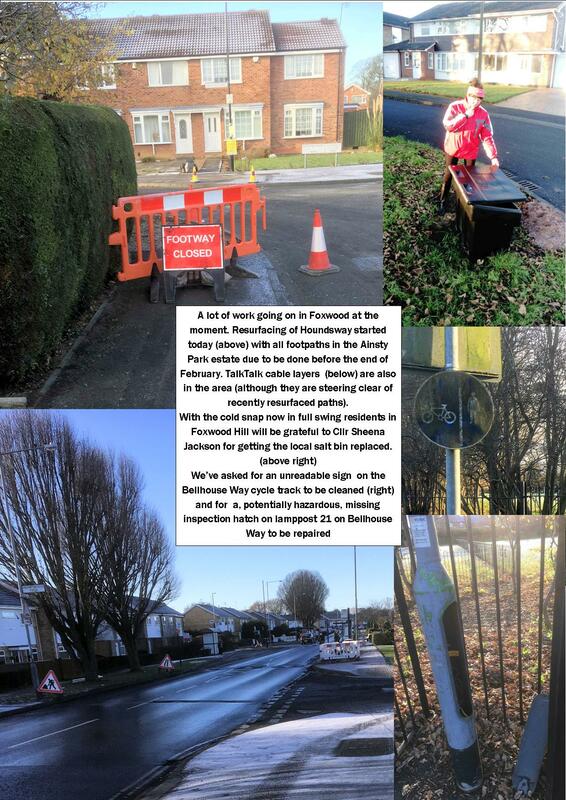 · Detailed condition survey of all our roads and footways. The survey records five condition categories, being grade 1 (very good), grade 2 (good), grade 3 (fair), grade 4 (poor) and grade 5 (very poor). The City of York Council commission the service of Gaist Solutions Limited who carried out a detailed video survey of the whole of the council adopted highway network. The survey was utilised to assess the condition of all parts of the network. 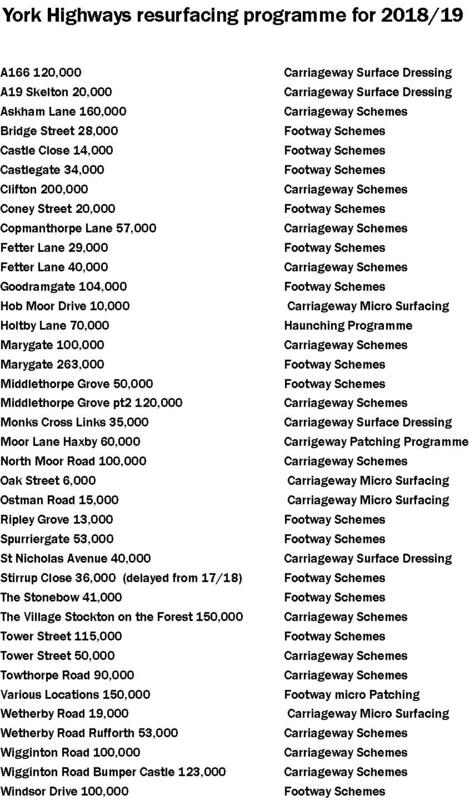 Each road and footway is assessed and given a ranking (score) based on a range of criteria, all metrics of the network were collated and a treatment solution was determined. Nevertheless some residents may be bewildered when they find that their local footpath has not been included in the programme. Path surfaces in streets like St Stephens Square and Ridgeway are now very uneven. Probably the worst carriageway in the City is School Street in Acomb which doesn’t get a mention. 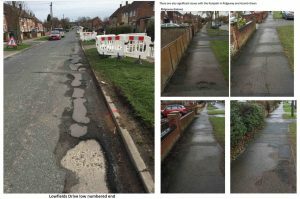 There will be pressure for the council to publish the “score” that each road received when surveyed. 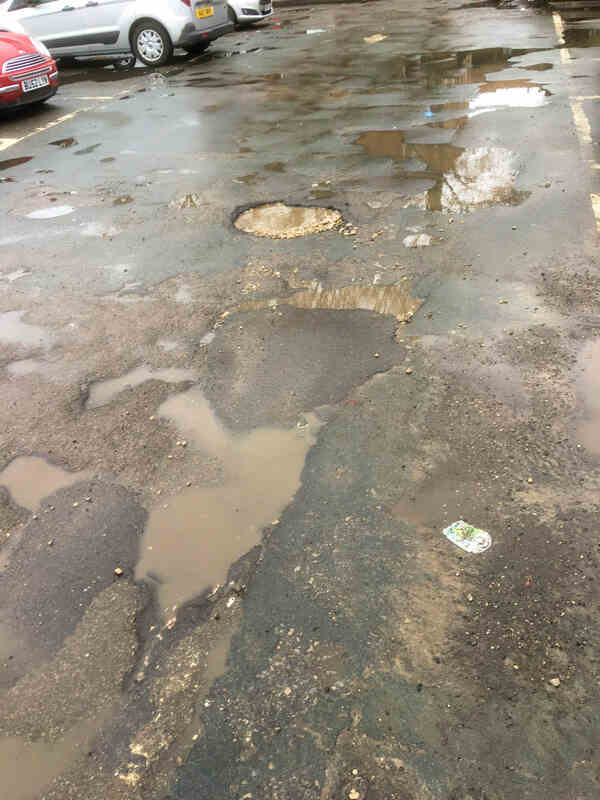 Some of the worst potholes have appeared on the Castle car park,. They are a hazard for pedestrians and could damage vehicles. The Council needs to take swift action to fill them in. Sheena has also been engaged with Talk Talks broadband installation programme. There has been more surface damage to roads and footpaths than was expected in some areas. City of York Council volunteer snow wardens were quick to respond to the snow and icy conditions across the city, rural areas and villages. Volunteers have been clearing vital footpaths and roads, making sure residents can access local shops and facilities. The council’s volunteer snow warden initiative has grown from strength to strength, with 211 volunteers ready to respond to wintry weather. These hardy volunteers are residents who give up their time to clear snow during bad weather. 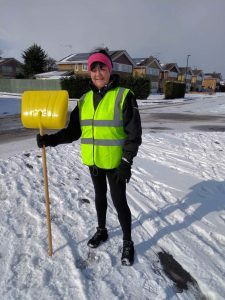 They help out with clearing snow and sprinkling grit on pavements, with Bishophill and Dunnington volunteers coordinating their efforts and operating as a group. The council provides snow wardens with training and safety advice, together with boxes of salt to use on public footpaths and streets. They are also issued with a snow shovel and a fluorescent ‘snow warden’ jacket. 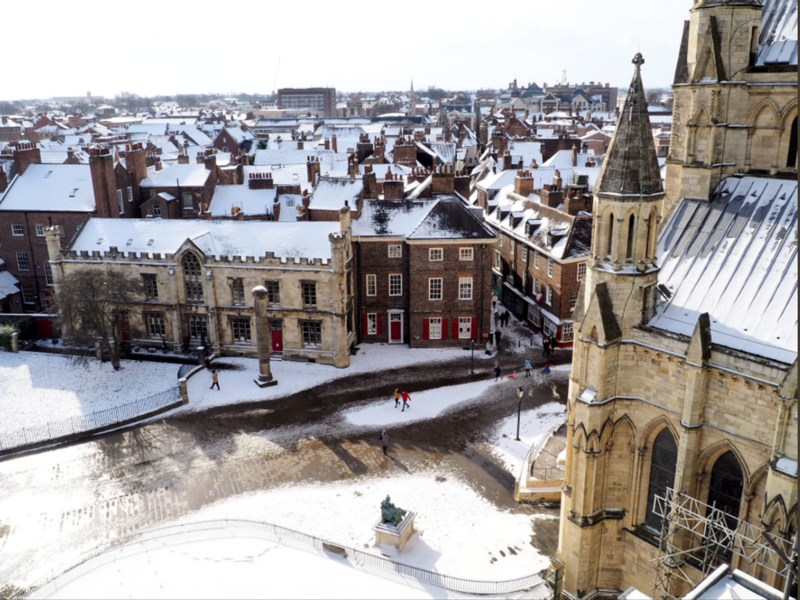 Cllr Waller, acting leader for City of York Council (and volunteer snow warden) said: “Our snow wardens are a great example of the community coming together to help each other. They go out in cold and icy conditions to clear paths and help some of our most vulnerable get out and about. We’re really grateful for the work they do. Talk Talk have told us that they will be unable to reinstate excavations on the following streets over the weekend due to adverse weather conditions. 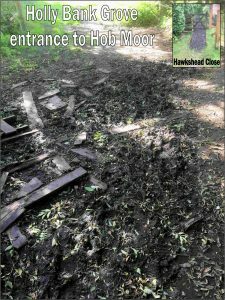 Six months ago we reported that work needed to be done to ensure that the access to Hob Moor (Micklegate Stray) from Holly Bank Grove was useable in wet weather. The path (which is a non statutory right of way) has deteriorated over the years. Residents had put down some wooden boards last year but these had proved to be inadequate. 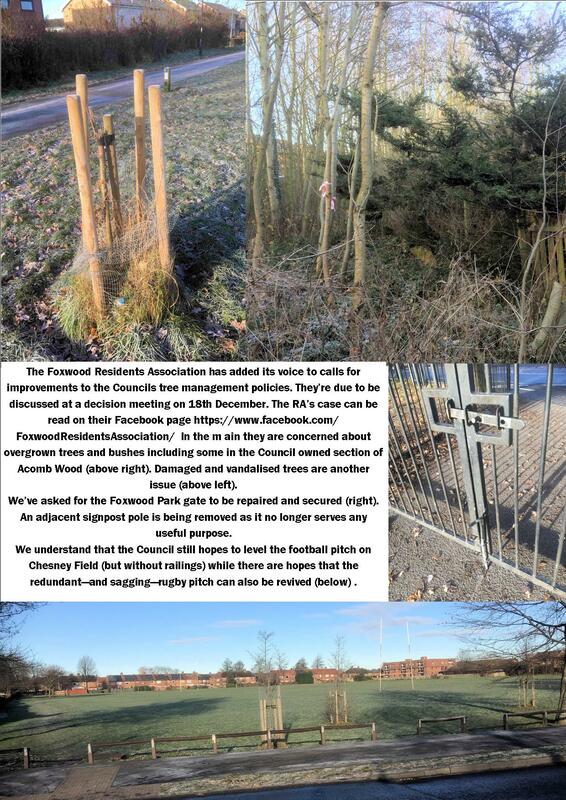 At the time we hoped that the Holgate Ward Councillors would take the hint and install a soft landscape path of the type successful constructed at access points in Acomb Wood and on Bachelor Hill. 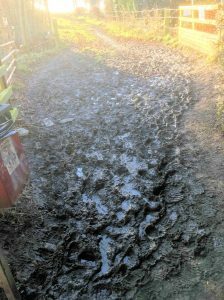 Sadly that hasn’t happened and the footpath was effectively impassable yesterday (Sunday). 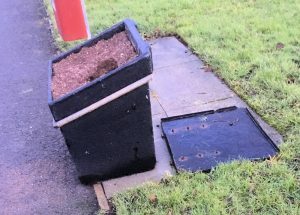 We hope that the Councillors for the Holgate ward will now get the message and ensure that – as a minimum – some wood chippings or bark is put down to soak up the water. NB. 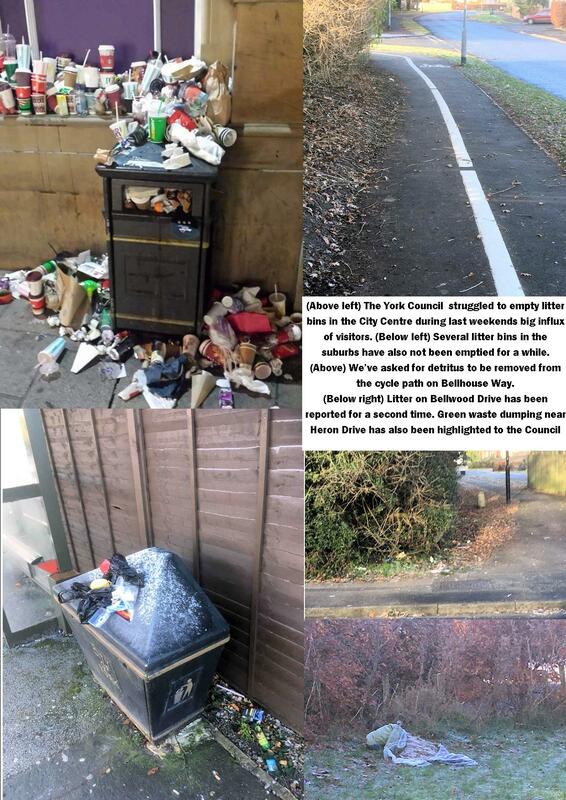 Ward Committees have been allocated a delegated budget by the Council to deal with issues like these. A lot of footpaths in the city are icy today. 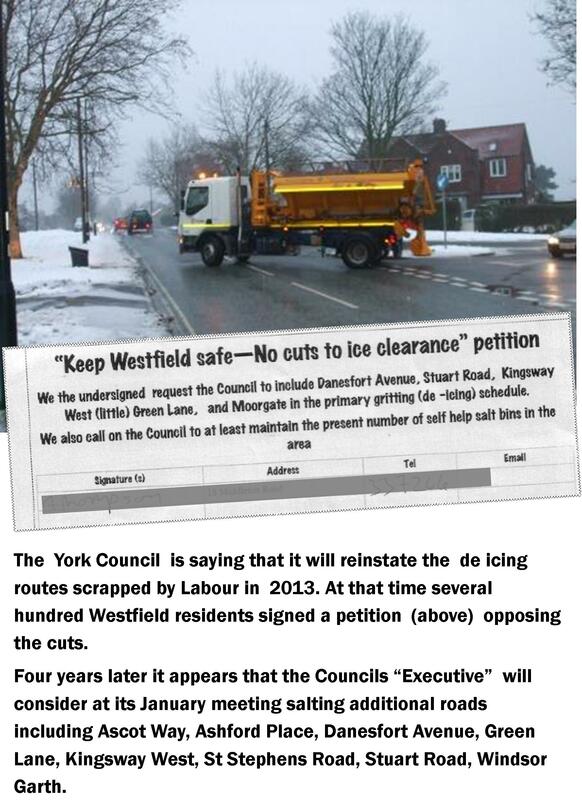 More roads to be salted in York? 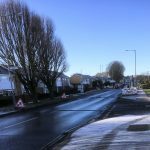 The Council has not said why it is set to discuss the issue halfway through winter or why the plan had not been included on its “forward plan” of decisions. According to the Press, it says it will pay for any changes using “contingency” funds (which have been available since last April). The decision to salt the 24 bus route will be welcomed. It was a major bone of contention in 2013. The Council have been lucky that in the intervening period the City has enjoyed relatively mild winters. We can’t expect that to continue.